On Sunday, 16 July 2017, the Grenada Motor Club (GMC) hosted the 2nd of its 4 scheduled Test & Tune events for 2017, at the Pearls International Speedway. Fourteen local racers competed in their individual time bracket categories, using the opportunity to hone their skills and fine tune their vehicles whilst attempting to break their time bracket and personal best records, in preparation for the second annual International Drag Racing Event to be held 17-19 November 2017. The Test & Tune events also allow competing racers the opportunity to amass more individual points towards their annual total, based upon which they will receive prizes and the recognition of their peers and the racing community, at the close of the year. 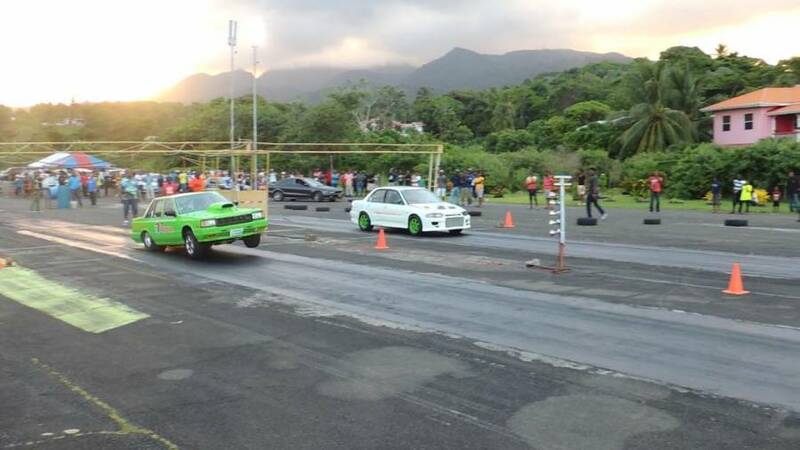 Fittingly the Grenada Motor Club (GMC) dedicated Sunday’s event to Nigel Cadoo, a motoring enthusiast, supporter of the club and a racing team member, who tragically lost his life on Sunday, 9 July. All the participants at Sunday’s event agreed not to take any prize monies at this occasion so that these funds could be given in support of Cadoo’s mother. Grenada Motor Club International Drags 2nd annual event will be held on 17-19 November 2017.